01.23 Is This Not A Pipe? 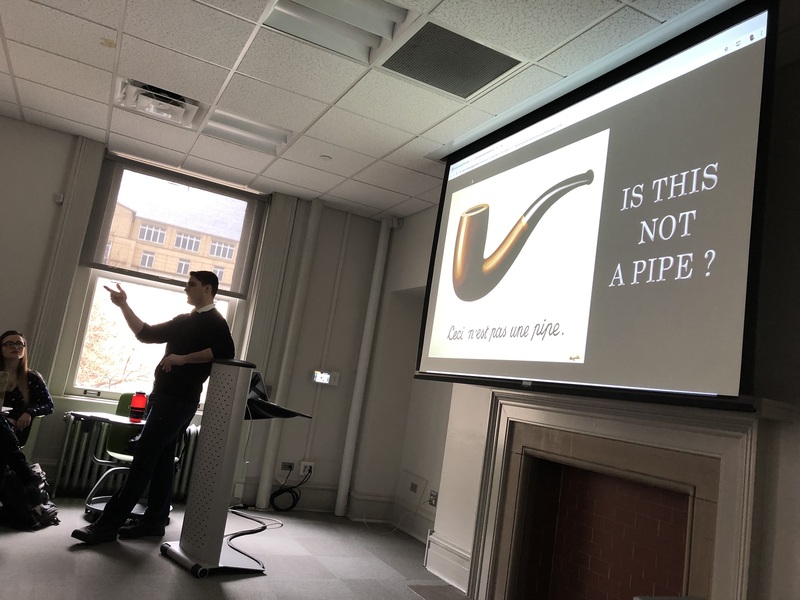 Today Francis did an overview of the concept of signs introduced by Eugenia last week, reviewed the Instagram posts assignment, introduced product semantics, introduced the first assignment, and Dan introduced behavioral and psychographic profiling. 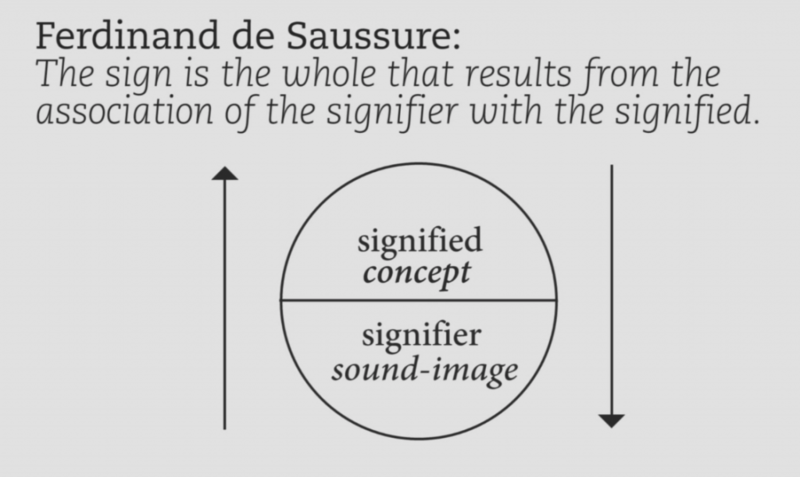 We reviewed the concept of signs looking at signified and signifier. 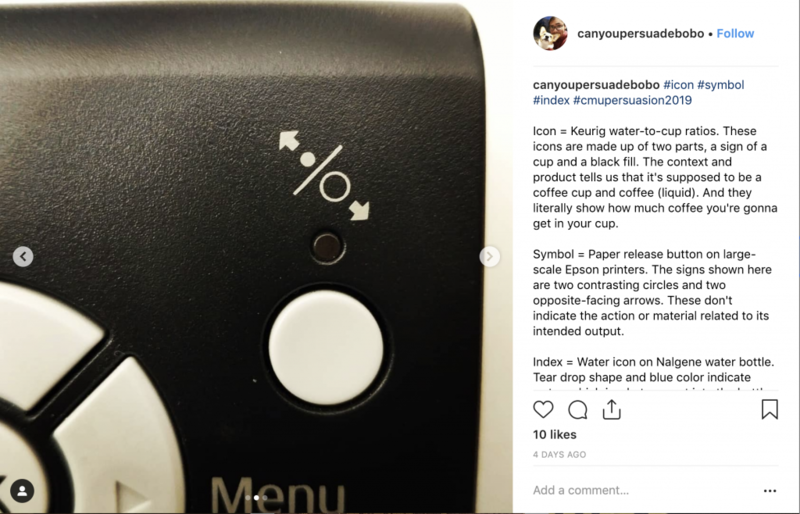 We also reviewed the differences between icons, indexes, and symbols as a reminder before we moved into reviewing the Instagram homework. Icons are a direct representation. Indexs require you to make congnitive choices. Symbols are culturally developed and learned over time and have no logical connection. Students had to take photos that represented icons, indexes, and symbols. This image ended up debated on whether it was a symbol or an icon. So, is this a symbol or an icon? 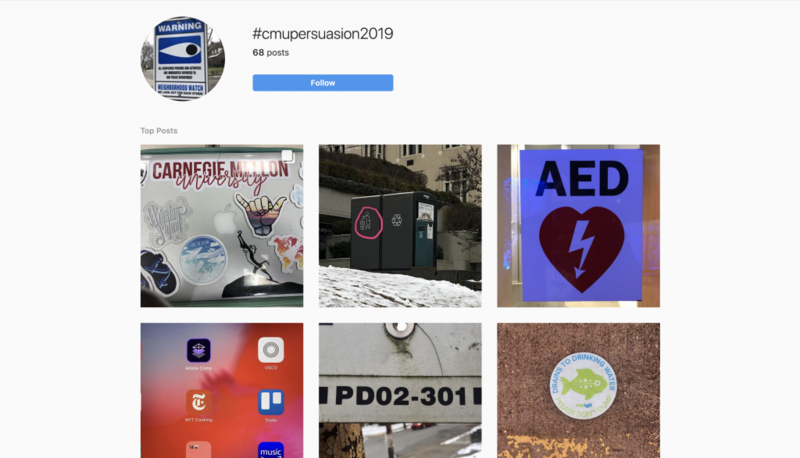 The concept of product semantics lead into introducing cabinets of curiosities, which is an element of the first project, which was introduced today. 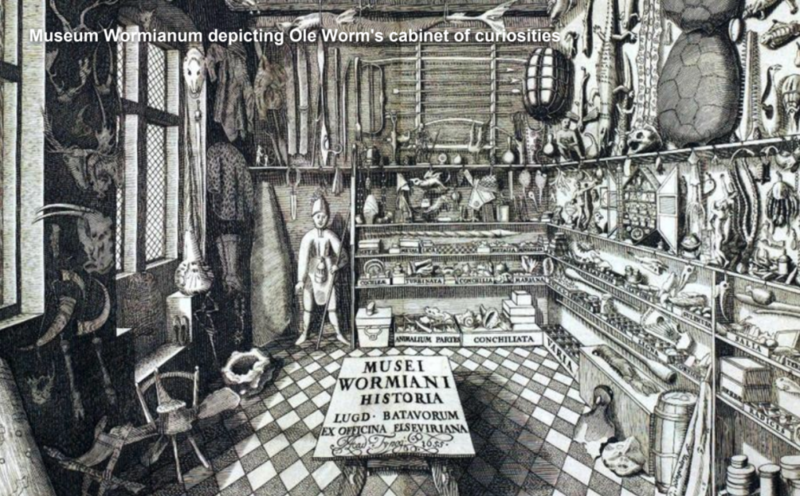 Cabinets of curiosities were a popular way to display a collection of unique and usual objects. They were traditionally a room and featured items that told stories of fact and fiction with items typically associated with natural histories, such as skulls and minerals, as well as historical and religious objects. 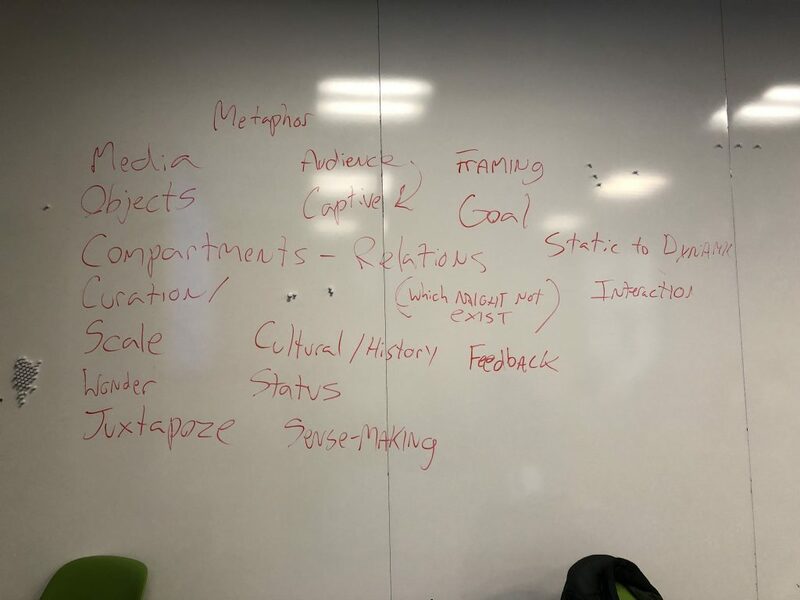 We asked the students what are the elements of a cabinet of curiosities, which will be things for them to think about as they start working on designing their own cabinet of curiosities for the first project. Dan introduced the concept of behavioral and psychographic profiling. He showed a clip from a talk by the CEO of Cambridge Analytica about the Ted Cruz campaign and how they used big data and psychographics to develop profiles of American citizens based on their personality traits. As designers, it is important to understand and consider the concept of behavioral and psychographic profiling because the work we may end up working on most likely will use some form of it. 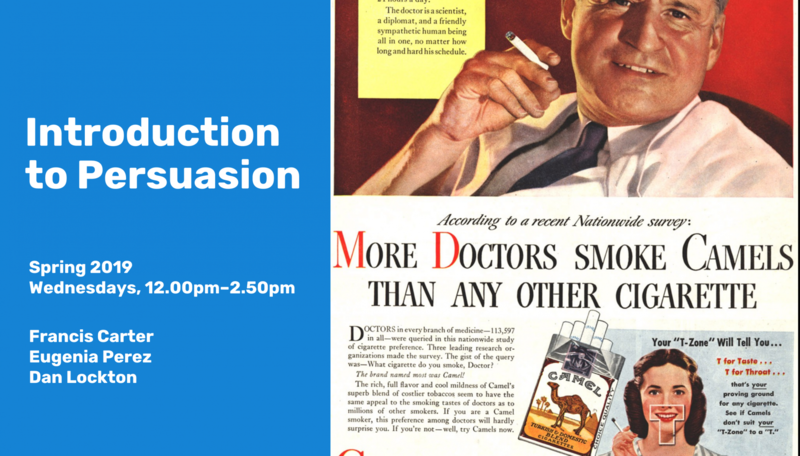 The questions we must think about are if you have or could build a ‘persuasion’ profile, how would (should) you use it, as a designer? And is there a way to do it in a less sinister and more ethical way? We had students look at their Facebook profiles and look at the data and information that is collected on them and what Facebook has decided their interests are. We wanted them to think about are the interests and do they align, how would they use that information, and how would they target based on the information. 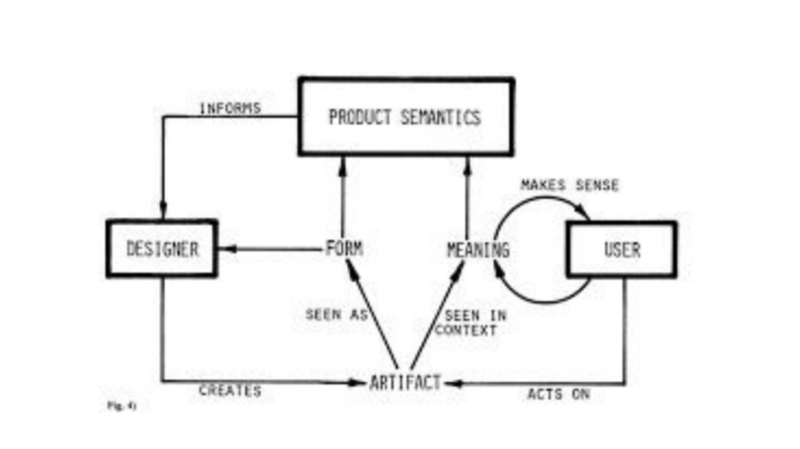 This week we want them to document 1 example of product semantics using the hashtags #productsemantics #cmupersuasion2019.